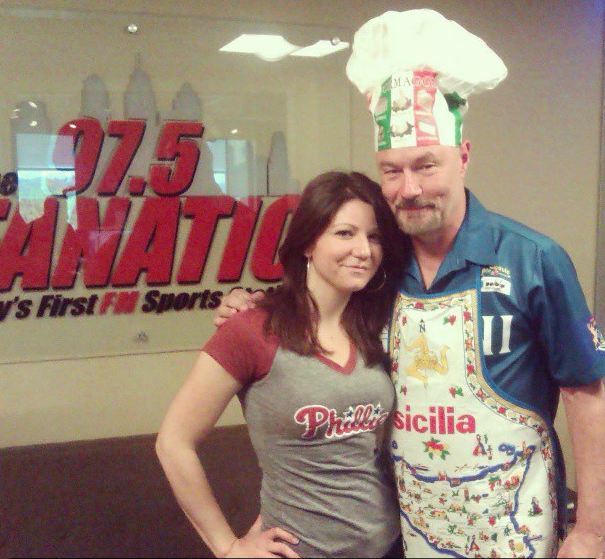 A Sports Radio station here in Philadelphia, PA, called the Fanatic, was having a contest last Friday. The contest was for Mother’s Day recipes. I decided to enter with my Chicken and Gorgonzola Penne dish. The other finalists’ dishes that were featured were Cheesesteak Soup, Risotto and a Pistachio Cake. It was a pleasure going up against these great people and their dishes. But I guess the creamyness of my dish with the chicken, gorgonzola, parm cheese, parsley and shiitake mushrooms brought it home. Homemade Delish was the winner of the contest, winning some amazing prizes. I feel honored and wanted to thank 97.5fm The Fanatic, Bruno and Mayes show and Steven Singer jewelers. Way to go! So, is the recipe on your Blog? congratulations! Are you going to share the recipe?